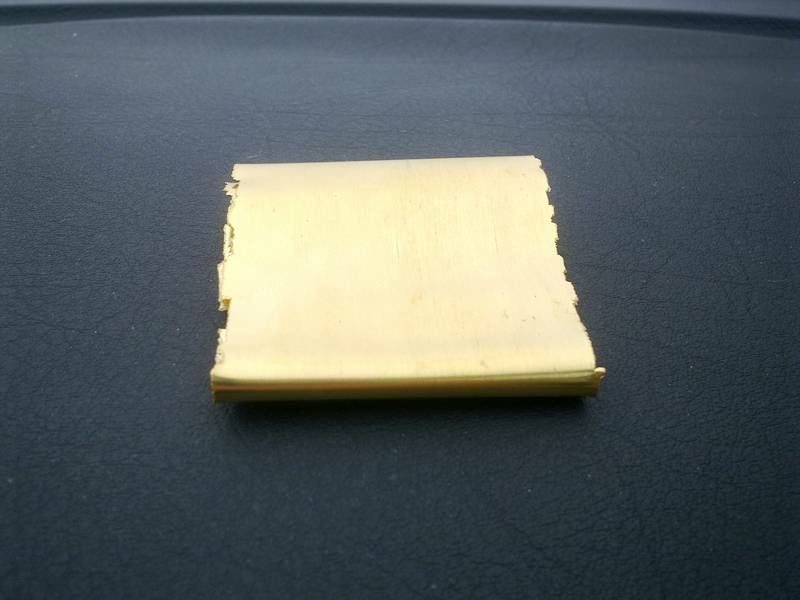 This is refined gold sheet. Some of gold refineries are not really refining gold, they are exchanging it for the gold sheet that corresponds to the percentage of gold they would recover. A lot of intentional mis-calculations are then executed so that refinery may gain as much as possible. Using such refineries that are not refining gold but exchanging it is not advised. When I have met the few women that worked in the same refinery, they told me how much gold they have stolen over all the years of work there. And then they started counting their houses and cars, including houses of their children and cars of their children. Do you think that every gold refinery shall be trusted?